Hi, yes this is planned for a future release. First time poster, i've searched google. and the forums, but can't seem to ID if this is a "working as designed" issue or something i've missed. I'm looking to switch over from PLEX to EMBY, and so far, Emby server/theater have been great, except one thing! 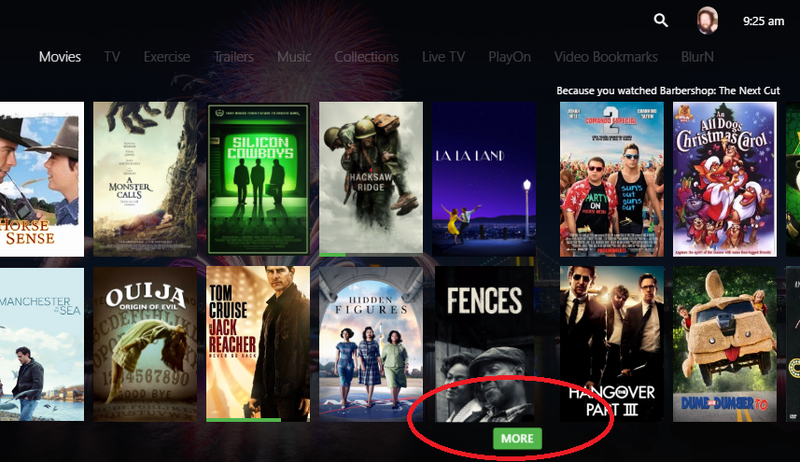 The default views for the various libraries in Emby Theater are missing a "show most recently" added option, shown in the below image in the green box via the emby web client. I'm looking for the A-Z sort option. I can't seem to find a way to enable it inside the Emby Theater client. Does it have to enabled on the server, or is it a feature that's not yet available? maybe via a custom skin? Thx Luke, if that's the case, i'm glad to hear it. Any ETA? Edited by KennyLogginz, 18 October 2016 - 01:13 AM. Can you please make this a HIGH priority? I have over 3000 movies. When my wife wants to watch movies, she's only ever interested in seeing the latest releases. It's embarrassing to have to explain to her that I can't sort it like that in Emby Theater. There's been several times that I've had to shut down Emby Theater and load up Plex or VUDU because of this. We also need a dedicated Latest Movies view at the top like is available in the Samsung TV app.  This is the only feature that has kept me from switching from the WMC version. Luckily, installing WMC still works on the W10 Anniversary Update, but it would be nice for me to be able to use ET. Surely this can't be a feature that a very small portion of us would actually use, right? The feature is very important to me. It hard to find my movies without sorting especially new ones. Please add the options to theater mode. I test Windows 10 Emby app. Edited by cchsieh, 12 January 2017 - 11:25 PM. 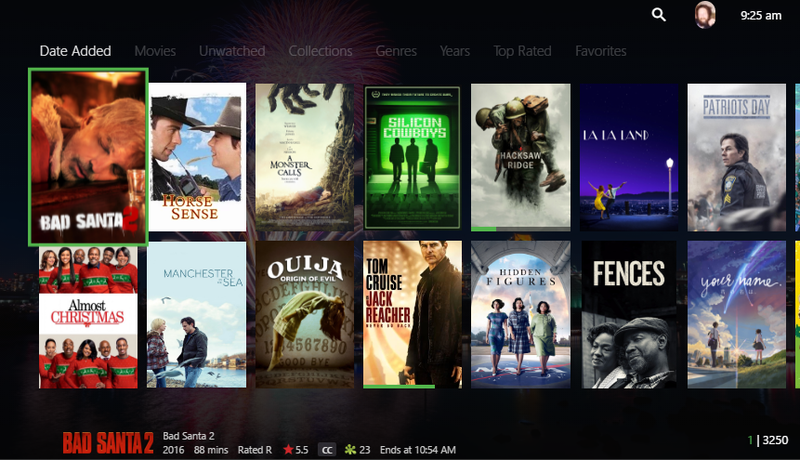 If, like me, you are tired of listening to your wife complain that she can only see a handful of the latest movies you are welcome to use my WAF skin. A "More" button on Latest Movies. The default view for Movies is by Date Added. Paging in Movies view (currently does not support the RC6 page up/down channel up/down but I'm looking into this). And that's it. The goal isn't to create a whole new look and feel for Emby but to add needed functionality to make getting to content easier and more convenient. I'll be adding functionality as my family requests it. If you have something you would like to see added let me know. If it's a good idea I'd be interested in adding it. It would be great if in your tweaks you could find a spot for cleararts and discs. I dropped your screen shot below with an option. Cleararts need to be bottom right corner so they will only work on side scroll not vertical scroll. Also how do I download and install your modified ET, step by step and where I save it would be great. 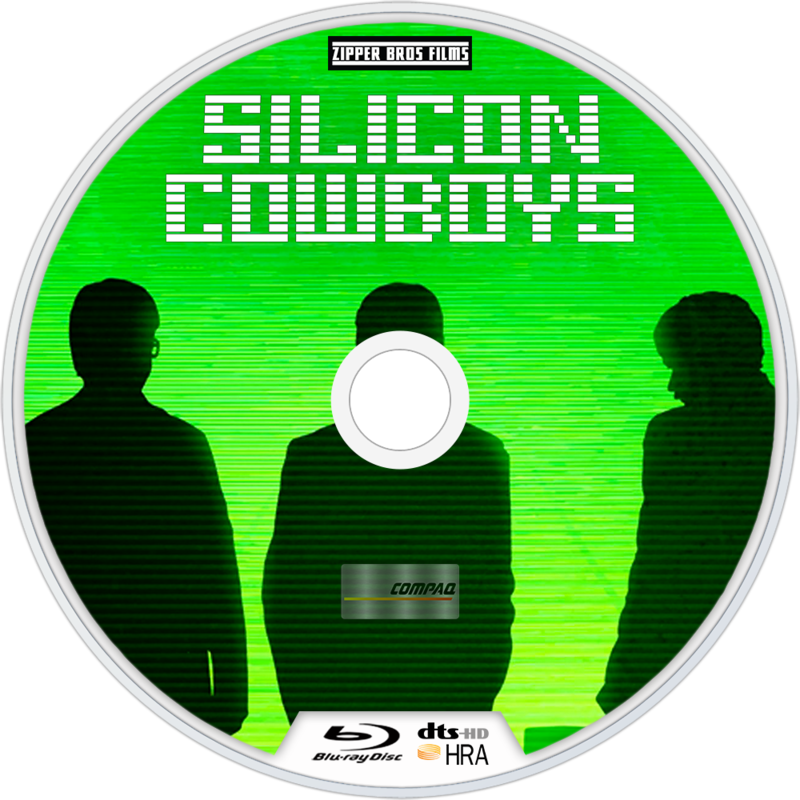 I noticed that some of your folder covers are covered in text, I have done a full set of art for Silicon Cowboys including a clearart and disc just for you. 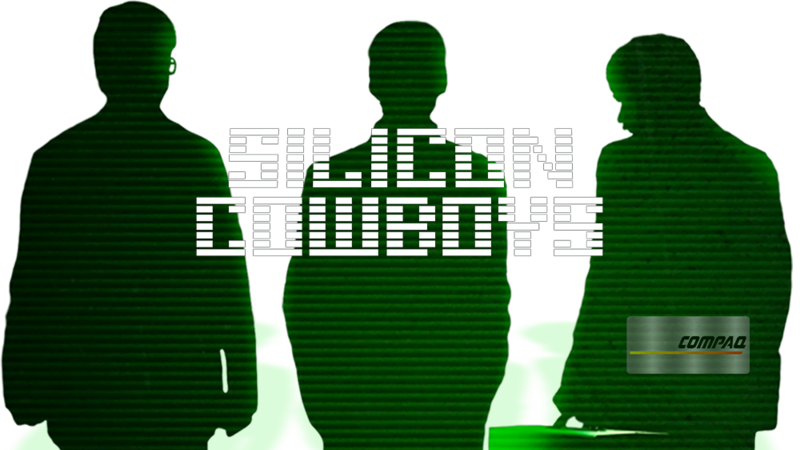 Just go to fanart.tv and search silicon cowboys and I have uploaded the full set. I am also working on A Monster Calls, in fact most of the art is already there ect the backdrops and clearart. Not sure but in the artwork section on the server I have deslected everything except fanart for downloads, this stops all the art with text downloading from other sources. Added paging to Movies. channel up/down should work as well. @Nick - in ET go to Settings->Installed Plugins. Click Install Plugin->Install from URL. Paste the url https://davidtjudd.g...in/package.json in the textbox and click OK. Go back to Settings->Display. Set the Skin to David's Skin. Not sure about the ClearArt. Wouldn't ClearArt and DiscImages make more sense on the OSD? I think that's how most of the Kodi skins use it. Date Added shouldn't have shown collections. Good catch. I've fixed this. Also added the option to group Date Added to the skin settings. Edited by Jack Burton, 28 January 2017 - 02:29 PM. I get that too sometimes. No Search icon or user icon in the header. I'll also get into scenarios where I lose some eventing or the skin will revert to the default one. The strange thing is it happens even with a skin that hasn't been modified. I removed a couple of boilerplate lines of code from plugin.js to see if this stops. Actually these are the only lines in the skin that hide these icons. Give it a shot and let me know. I have Emby Theater 2.9.6, where are these options? In particular I'd like to know how to switch my 'Home videos & photos' library to List View. Try restarting the app and let me know if you're able to locate them. Thanks. Just doesn't seem to be there in ET (but is present in web - Chrome). Confirmed that the web version has them, but Emby Theater does not. Also noted that the web version sorts differently, it sorts folders alphabetically, then files alphabetically after them, but in Emby Theater everything is sorted alphabeticaly regardless of file vs folder (which I really dislike).